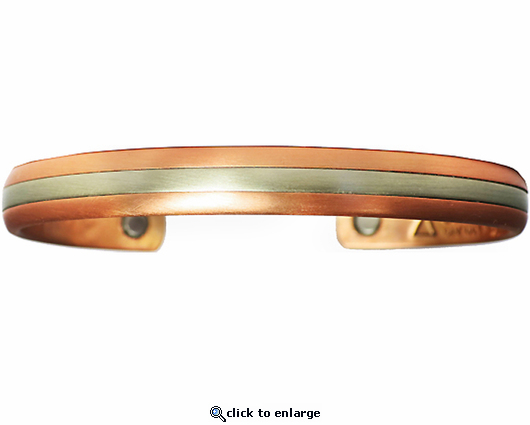 This copper magnetic therapy bracelet which Sergio calls Two Worlds is a wonderful design. It is Sergio Lub style 548. It is made in the U.S.A., has 2 rare earth magnets, and is made of pure copper.